Happiness Now by Robert Holden. This book is one of the best I’ve read on why the state of happiness is vital to overall health and well-being. Based on his work with thousands of British patients and as the Founder of the Happiness Project, Holden reveals why happiness is often so elusive for people to find. This book is loaded with practical techniques and case studies to help the reader make happiness a daily and important part of their life. It was not only revealing, but also reminded me that it’s very easy to get tripped up by our ego, habits, and past experiences into believing that change is hard or nearly impossible. 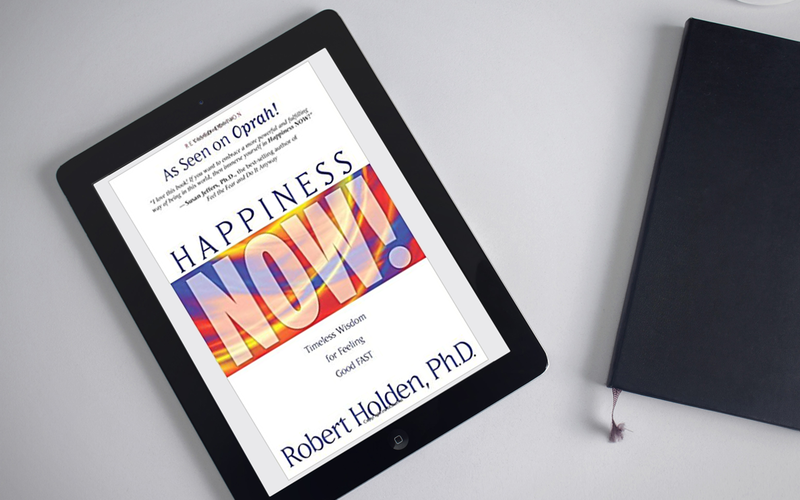 About the author: Robert Holden is founder of Happiness Project. His innovative work has been the subject of thousands of media features worldwide. Robert is a student of A Course in Miracles. He is the author of the best-selling books: Happiness NOW! Shift Happens!, Authentic Success (formerly titled Success Intelligence) and Be Happy. Robert also hosts a weekly show on Hay House Radio called Shift Happens! For more information visit him at: www.RobertHolden.org.